Facebook is one of the popular social networking site till now, it helps you to stay connected with your friends. 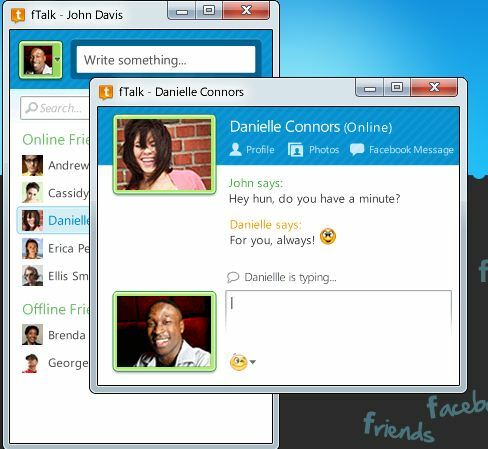 And recently Facebook introduce the new Video Chat feature which allows you to video chat with your friends easily. One of the feature that i like most on Facebook is Facebook chat, now here is app fTalk which allows you to chat with your Facebook friends from desktop, so no need to log into your web browser. 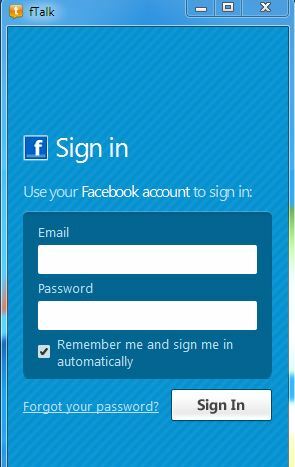 It simple to use just login with facebook ID after the login it will ask for permission to access your Facebook account. Once done you can see all you online and offline friends there. It’s easy to use and you can mange it from your desktop. You can directly go the profile, photos of the person with whom you are chatting. And you can also set for tray notifications for new chat alerts. You can download the Ftalk Facebook Desktop client here.